MILAN – Pazzini conquers the San Siro, the Nerazzurri have a new hero. Thanks to the new Inter signing, the second half of today's game saw a great comeback as the Nerazzurri went into the break 0-2 down but ended the game as winners, thanks to two goals by Pazzini and a penalty by Eto’o, which was also won by the former Sampdoria man. Inter v Palermo ended 3-2, and after the Week 22 game of the Serie A 2010/11 Inter are on 38 points. Palermo took the lead after just 5 minutes, when Miccoli was served by Cassani. 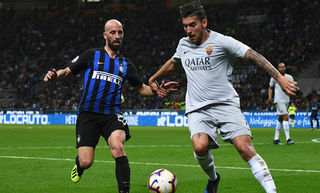 Half an hour later the Rosanero took a double lead, despite Inter having created a number of chances that they could not convert. Palermo’s second came from Nocerino; then Pastore in injury time struck the woodwork. In the second half it was Pazzini who got Inter back in the game 12 minutes into the second half, with a classic striker’s goal. And he scored again on 28 minutes, as he jumped to header the ball into the net after a Maicon free-kick. The Italian was unstoppable and on the half hour he won a penalty after being held in the box by Munoz: Eto’o stepped up and gave the Nerazzurri the final lead. FIRST HALF – Julio Cesar returned to the goalkeeper’s role against Palermo, promoted perhaps ahead of schedule after Luca Castellazzi suffered an injury to his right hand. 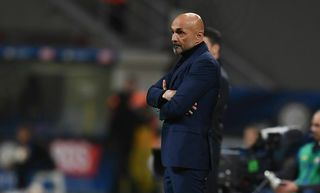 At the back Leonardo opted for Lucio and Ranocchia as centre-backs, with Maicon and Santon as full-backs; a midfield of Zanetti, Cambiasso and Thiago Motta; Coutinho started just behind the front pair of Milito and Eto’o. The new signings Pazzini and Kharja were both on the bench, ready to get involved if called upon. Palermo started off by pushing hard on the flanks, keen not to concede any reference points to the Nerazzurri; but it was the home side that got the first opportunity: on 3 minutes Maicon shot with his right foot and the ball went just wide. Two minutes later though, it was Palermo who scored, as Miccoli slotted it just under the crossbar after Cassani’s cross arrived from the right. Nocerino’s position in between Santon and Cassani was very debatable, and no doubt had its effect on Santon’s mistake. 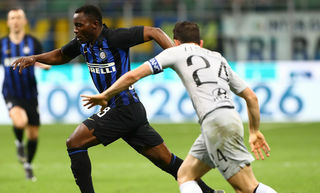 On 12 minutes Eto’o made his way past two direct opponents and crossed from the left, but Milito came up just short and couldn’t connect with the ball. Moments later Pastore’s obstruction stopped Lucio from getting into the box, but the Brazilian defender did not appeal to the referee. On 25 minutes Thiago Motta impressed as he shot from distance with his right, but unfortunately he saw his effort finishing just over the crossbar. Then came three chances in quick succession for Coutinho, as he slowly rediscovered his form: first time it was Munoz who got in front of the Brazilian as he prepared to beat Sirigu; then it was Cassani who blocked the starlet’s shot from the edge of the box; Coutinho’s third effort was this time untouched by the Palermo defenders, but went just wide. On 35 minutes, despite the many chances for Inter, it was Palermo who scored again, this time with Nocerino: cross from the left, which Julio Cesar deflected by beating Miccoli to the ball, but on the follow-up Nocerino was ready and slotted it home for the 2-0. 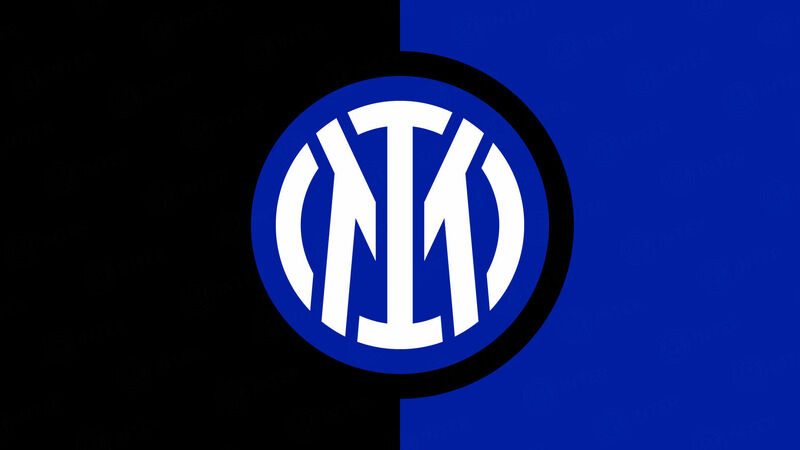 Inter refused to give in and tried with insistence to get back in the game. Three minutes later Santon cleared off the goal line as Cassani had an open goal to aim at. On 40 minutes Thiago Motta shot with his left, but Sirigu punched the ball away; Eto’o sent the ball into the net by latching onto the follow-up, but the linesman had raised his flag for offside. In injury time Pastore hit the post. After one minute of added time the teams went into the dressing rooms with the result 0-2. 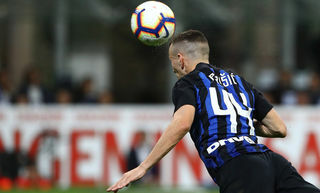 SECOND HALF – The second half began with two changes for the Nerazzurri: room for the new signings Pazzini and Kharja, as they replaced Coutinho and Santon. For the Italian striker it was the second time he made a debut against Palermo, as it occurred for his first game with Sampdoria. Just 6 minutes in and Sirigu pulled off an excellent save on an Eto’o free-kick. Three minutes later Inter appealed for a penalty: Ranocchia’s header hit a Palermo defender on the arm. On 12 minutes the Nerazzurri got back into the game through Pazzini, who received the ball in the box, turned, and shot for the goal. Three minutes later Julio Cesar prevented an outrageous own goal by captain Zanetti, after Ranocchia had ran the same risk moments earlier. On 18 minutes Rizzoli awarded a penalty to the visitors after Thiago Motta fouled Kasami in the box: Julio Cesar saved Pastore’s effort, and the Argentinian tried again with the follow-up but the Brazilian goalkeeper was once again ready. Then Eto’o came close to an equaliser but was blocked by Sirigu. On 23 minutes the Nerazzurri wasted a golden opportunity when Milito received the ball from Cambiasso. On 25 minutes Pazzini back-heeled the ball towards Maicon, and the Brazilian’s cross into the box was met by Eto’o, but Sirigu was ready to make the save. Just three minutes later Pazzini was once again the man at the centre of the action, as he connected with Maicon’s cross and headed it home for the equaliser. On 31 minutes Rizzoli awarded Inter a penalty after Munoz held Pazzini in the box; Eto’o stepped up and converted the penalty. Inter were in the lead. On 43 minutes Maicon and Julio Cesar prevented Kasami from scoring and saved Inter. Finally after two minutes of injury time, Inter v Palermo ended with a score line of 3-2. Zanetti: "Really happy for Pazzini"